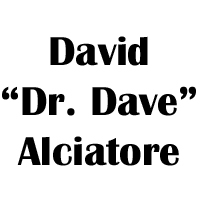 When it comes to the science of pool, the first name that always comes to mind is David "Dr. Dave" Alciatore, PhD. As a mechanical engineering professor at Colorado State University, Alciatore brings a unique perspective to the game of pool. Dr. Dave's work includes the popular Illustrated Principles of Pool as well as The Video Encyclopedia of Pool Shots and The Video Encyclopedia of Pool Practice.